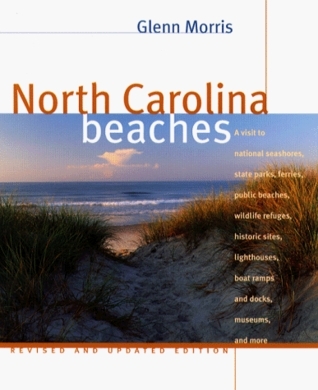 North Carolina Beaches by Glenn Morris (UNC Press 1995)(917.56). This volume is generally accepted as the best guide to the beaches of North Carolina. From the Outer Banks down through Wilmington and Southport, author Glenn Morris has been there. The reader will wind up with sand between the toes after just a few pages. My rating: 7/10, finished 1996.